Hi friends, here is my “Basics of Kitchen” recipe. Nowadays, we are so interested in making store bought things with our hands. Yes! I love to do homemade products, and am trying my level best on this. 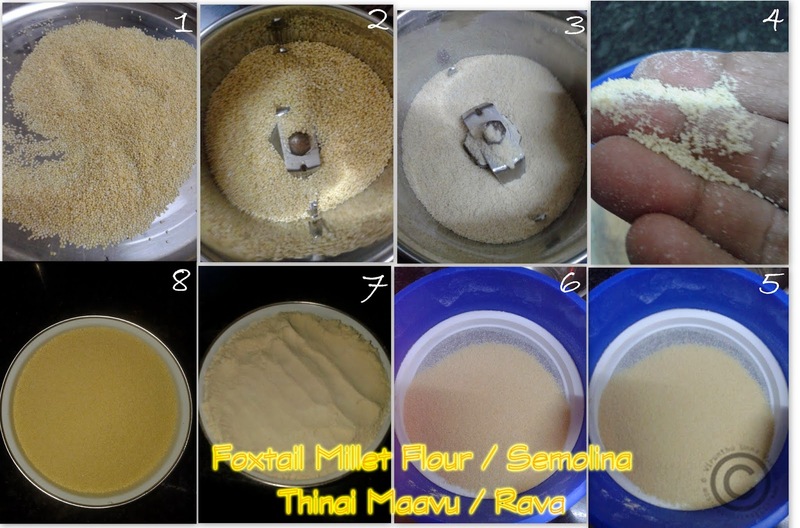 Siruthaniyam/millets are combined in our regular diets for past few months, so people are interested to make different recipes with the healthy millets. 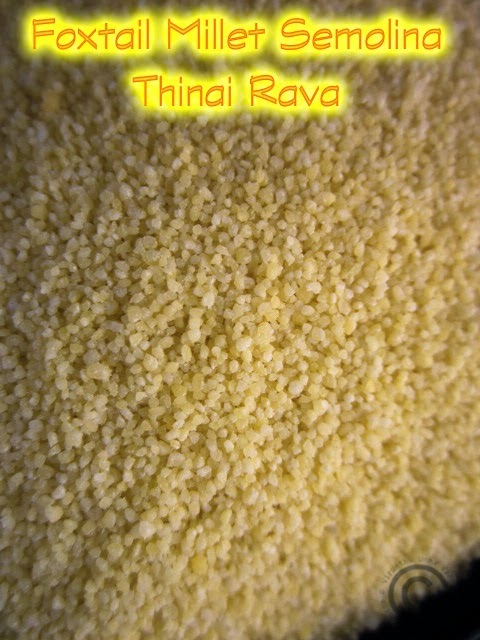 You can see the pin for the millet recipes on my space. 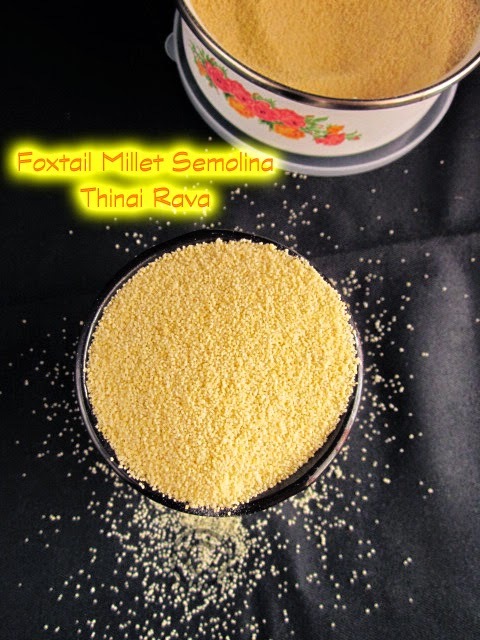 Wash the foxtail millet and drain. 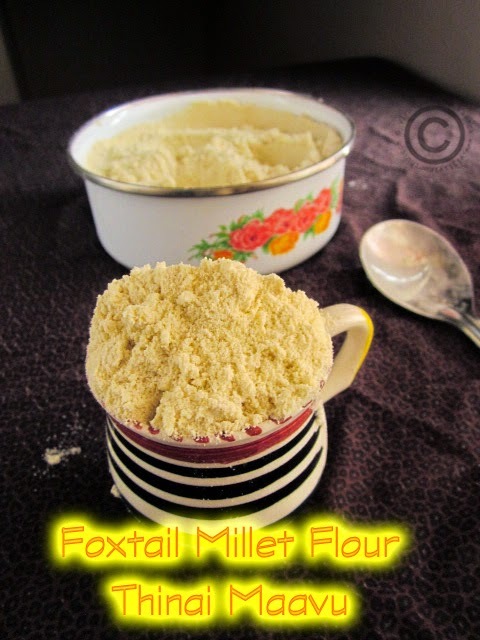 Spread the millet on sundry for 4 hours or shadow dry for 6 hours, or till completely dry. 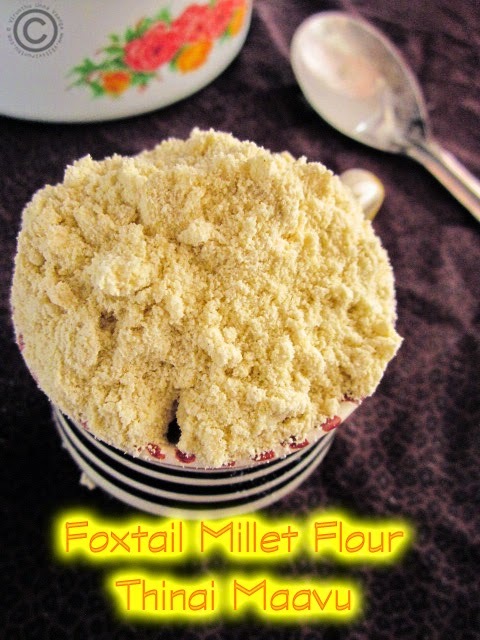 Now blend the millet in dry mixie jar, into smooth powder. Use pulse option, and blend with little gap, because the mixie will get heat. 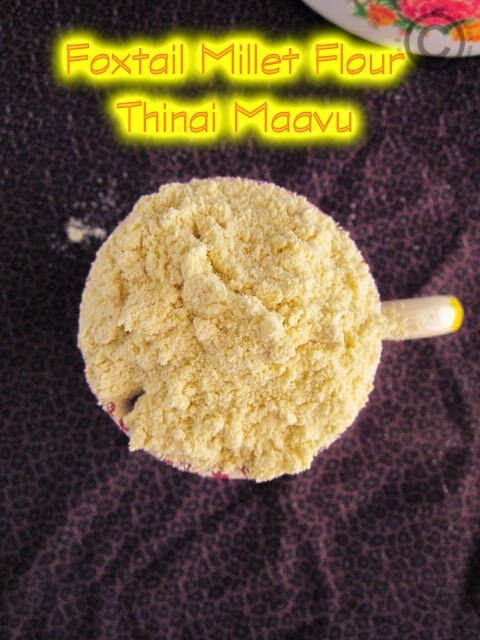 Then transfer the flour into the fine siever (Maavu Saladai), and sieve into a wide bowl or big news paper. 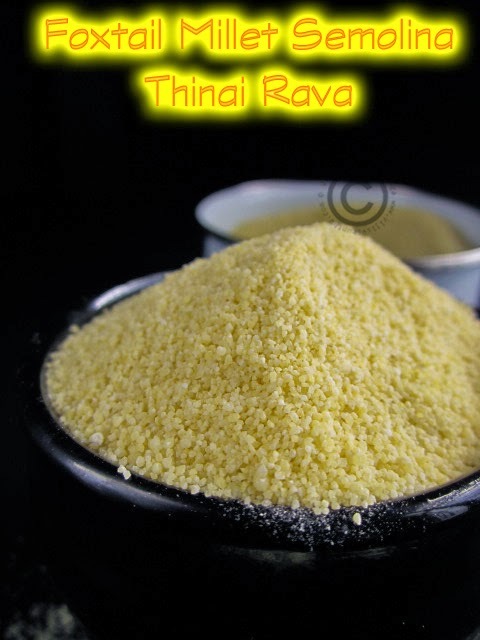 Now you can get the flour on the bottom, remaining mixture on the sieve is semolina. 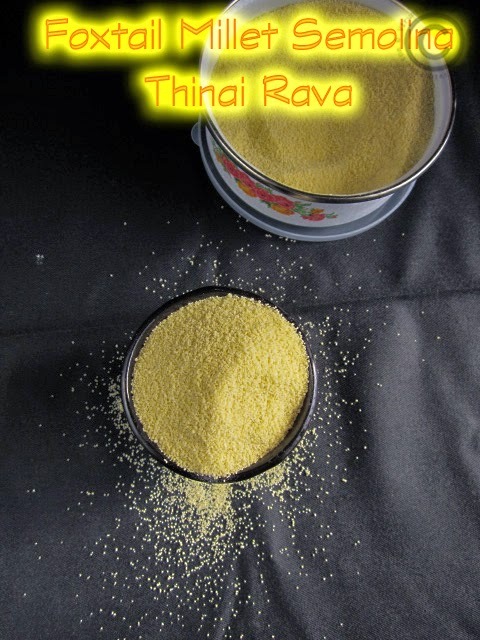 Excellent, homemade thinai flour and thinai rava looks fantastic.